Hi! 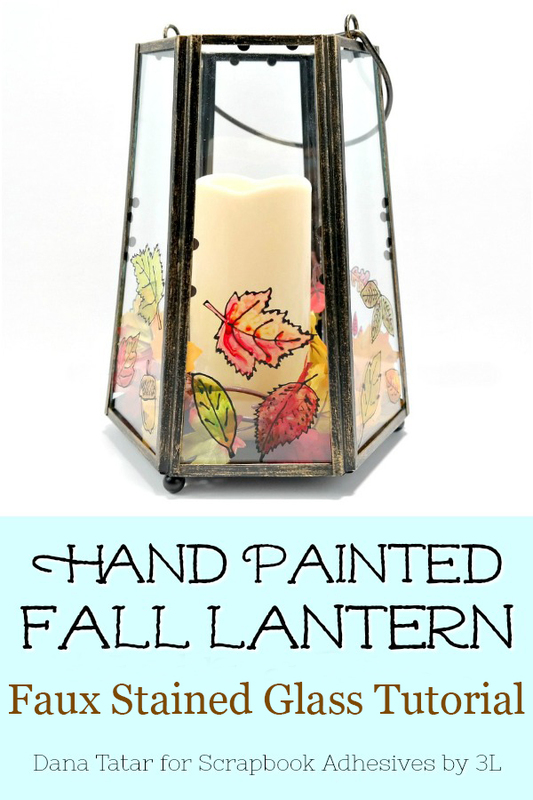 I'm sharing a hand-painted home décor piece for Fall that I created for Scrapbook Adhesives by 3L today. I love the look of stained glass. 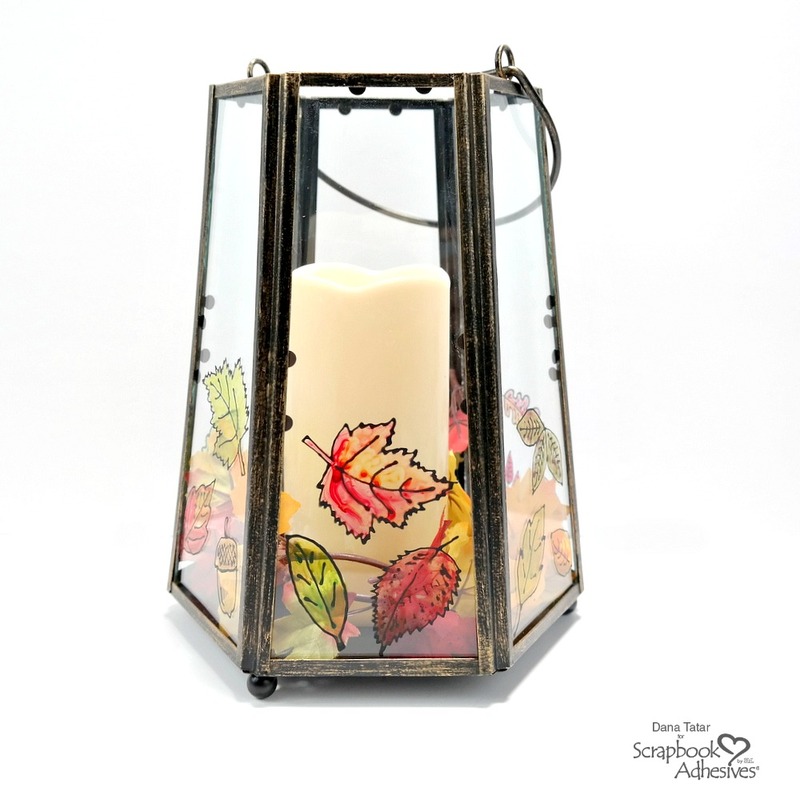 This project replicates the beauty, but is much easier to complete. The painted glass really catches the light in a beautiful way. I share the full tutorial for this piece, as well as my recipe for black glue, on the Scrapbook Adhesives by 3L blog today. I decorated this lantern for Fall, but this design could be easily adapted for any season or special occasion. 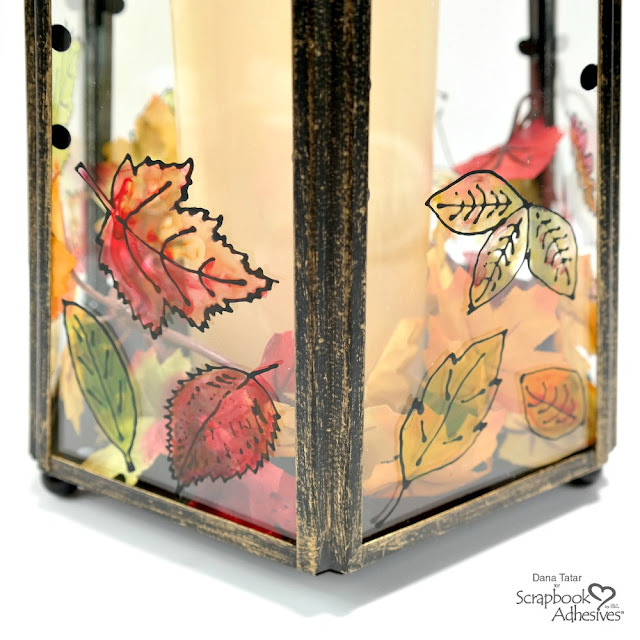 Try decorating a lantern for Winter by painting holly leaves and berries, snowflakes, or a festive holiday greeting onto the glass. You never cease to amaze me!! This is STUNNING!!!! I loveeeeeeee it!!!! NEVER would have come up with that idea, especially with the glue!!!! But it came out spectacular!!! You are amazing in your creativity!! !